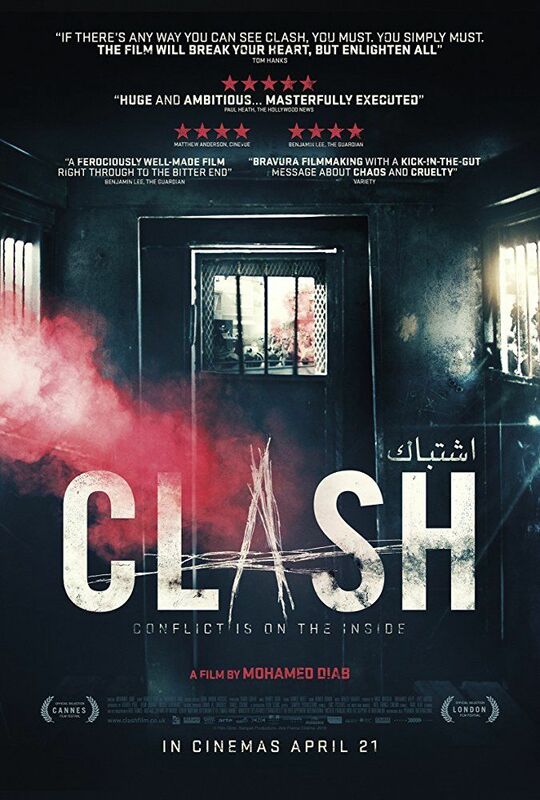 Clash (Arabic: Eshtebak‎‎) is a 2016 internationally co-produced drama film directed by Mohamed Diab. It was officially selected by the 2016 Cannes Film Festival and was the opening film of the Festival's Un Certain Regard section that year. It was selected as the Egyptian entry for the Best Foreign Language Film at the 89th Academy Awards but it was not nominated. Read more on Wikipedia.